It has been a great rollerhockey season for me the last 3 months. Malys earned a 7-2-0-1 record and a 3rd place finish in their division respectively. It was a tough season, but they pulled through and played great when it mattered. I played 3 games for Shock and Awful and we finished 2-1 with a combined record of 4-5-1 record. I feel I played pretty well on a team that really had struggles defensively. Still it was good to come in and help Rick out after his surgery when he couldn’t play. 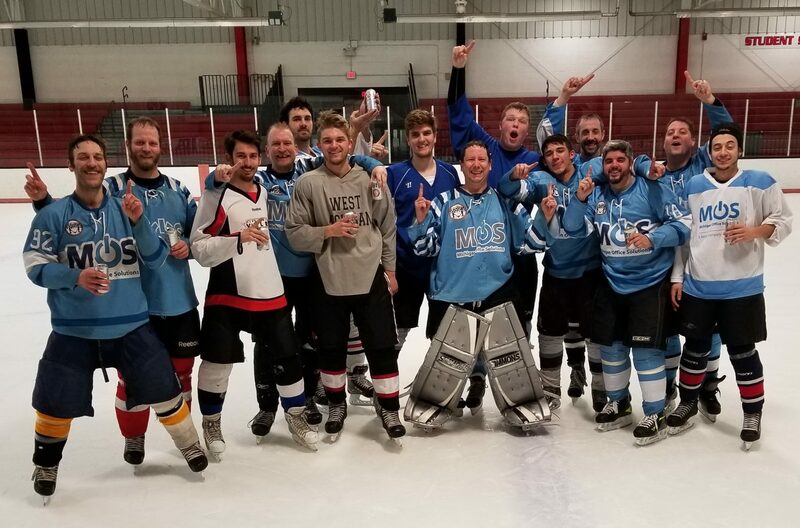 Marketlab finished 8-1-0-1 and took first in a very tough division. After running the table last season and then getting a much weaker team, they have competed at a very high level. Structural finished 3-7 after a great season where they made playoffs last season. Yes, they were in a much stronger division than they were used to. However, the battled through a lot of adversity and got some key wins. I could not be more proud of this team. My combined record for this season stands at 20-10-0-2 which I feel is quite respectable. Now I get into the next stage which is the playoffs on Saturday. As would be expected, the butterflies are flying around in my stomach more than 16 hours before the first game even starts. I want nothing more than to be successful tomorrow and thats it. As if it was all up to me though. Everything has to fall into place in order to do well in this playoff tournament. I have to play a strong game. My team has to play an strong game in front of me. Then, you also have to have the puck bounce your way a little bit in order to win games. I have been in many of these one playoff hockey games where a strange bounce can be the difference in the game. I have been on the giving and receiving end of these bounces so I remember what it is like quite well. No matter what happens I promise myself that I will do the best I can with what ability I have left. One of the first things I remember telling myself before my first playoff game was, “No Regrets”. I was going to go out there and leave everything I had out there and let the chips fall where they may. I may not win every game, and the puck may bounce against me, but if I did everything I could do to play a solid game I wouldn’t be disappointed. My team may or may not be happy with the outcome, but in the end it would be a great experience. My playoff resolutions that I have before every playoff game…. I will bring my A game tomorrow. Without that, my team will falter. I will make a few big saves to keep us in or ahead in the game. I will be happy no matter what the outcome. If I lose both of my first round games and am done for the day, I will go home, shower, and go out afterwords with everyone from the rink and have a good time. I will be supportive of all other players. If they struggled, I will not rub their nose in it. If they excelled, I will recognize it. Life is too short to make a big deal out of rec league hockey. I know I am all about success in hockey, but I also want to have fun with my friends. Here is to hoping that I have a great day tomorrow and many more like it for at least a few more seasons before my knees give out.